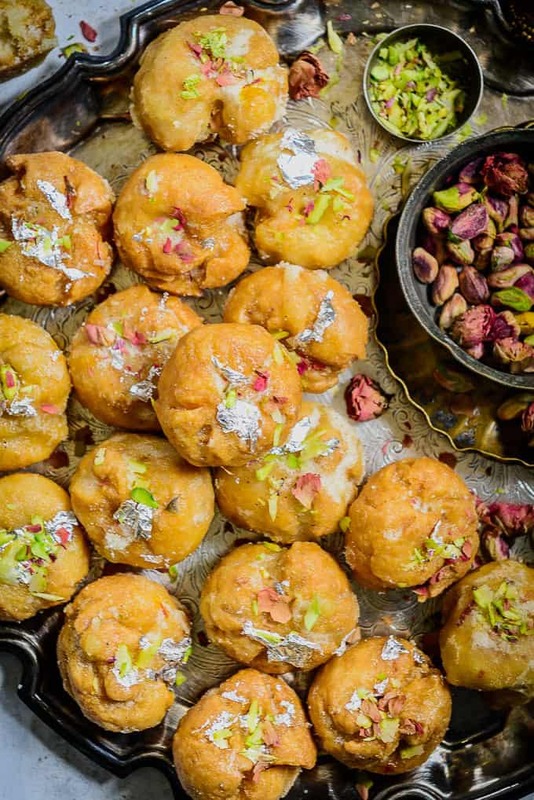 Balushahi is one of traditional Indian sweets made using all purpose flour, ghee and yoghurt. This sweet is crispy from outside, and has a soft and flaky texture from inside. It is usually made for the weddings and festivals in India. Moreover, this popular Indian cuisine dessert can be stored for a few weeks without getting spoiled. 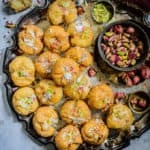 Here is how to make Balushahi at home. 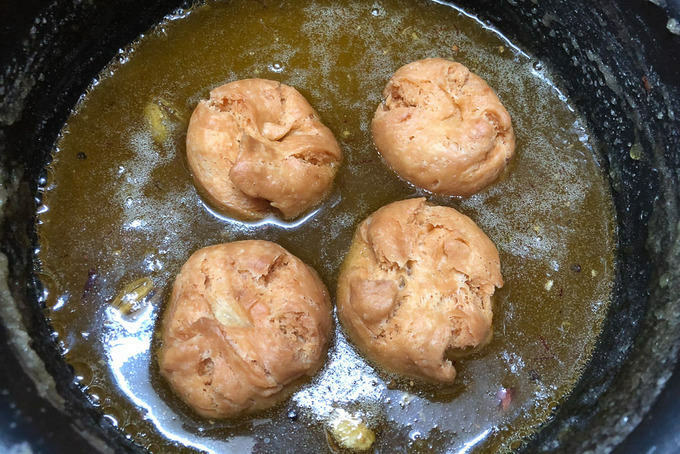 Making Balushahi at home is very easy. 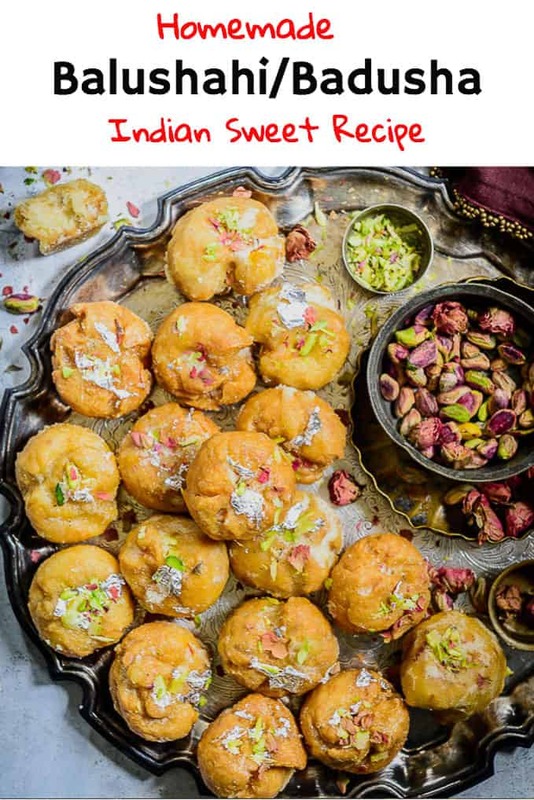 Also, by keeping a few tips and tricks in mind, you can make this delicious sweet in your kitchen. The first thing to keep in mind for the recipe for Balushahi is to fry it on a very low heat so that it gets cooked nicely from inside. If the heat is high, Balushahi gets browned from outside but is still raw from inside. Another thing to keep in mind is the consistency of sugar syrup. It should be of 2 string consistency otherwise it will not set. You can fry the Balushahi in oil as well but the real taste comes when it is fried in ghee. Do not over knead the dough and even while making the rounds, they should be a little asymmetrical. Use chilled water to knead the dough. You can add a few ice cubes in water if chilled water is not available. Take all purpose flour, salt, baking soda, yogurt and baking powder in a bowl. Later add water and make a soft dough from this mix. Furthermore, cover the dough and let it rest for good 30 minutes. Now divide the dough in to equal pieces now. Finally, in a heavy bottom pan add ghee and fry the dough but not on a high heat. 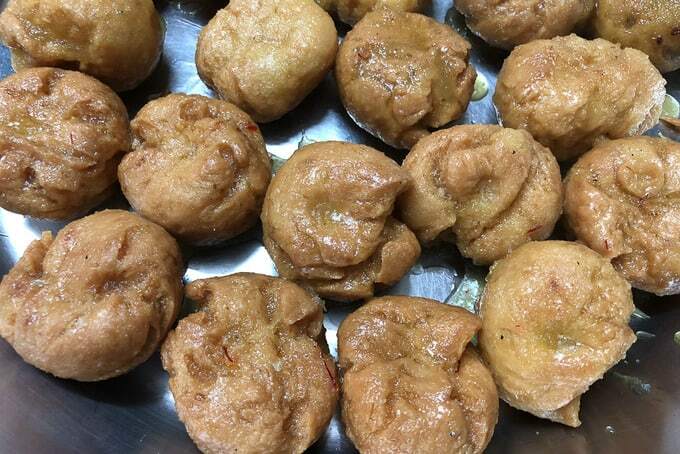 Dunk the fried Balushahi in sugar syrup and let it cool. Follow my recipe for further instructions. Sieve maida, salt, baking soda and baking powder in a bowl. Add ghee and mix nicely with your finger tips. Now add water and knead to make a soft dough. Make 20-22 equal sized balls from the dough. Do not smoothen them much. Press in the centre of the dough ball with your thumb. When the ghee is slightly hot, drop the Balushahis in the ghee very gently. Do not heat the ghee too much otherwise the Balushahi will fry from outside but will remain raw from inside. Fry on very low heat till golden brown. Remove from heat once done in a plate and let cool completely. For sugar syrup, heat sugar, water, cardamom powder and saffron in a pan. Cook till the syrup reaches a 2 string consistency. Dip the balushahi in the sugar syrup and remove on a plate. Let them dry for 2-3 hours. 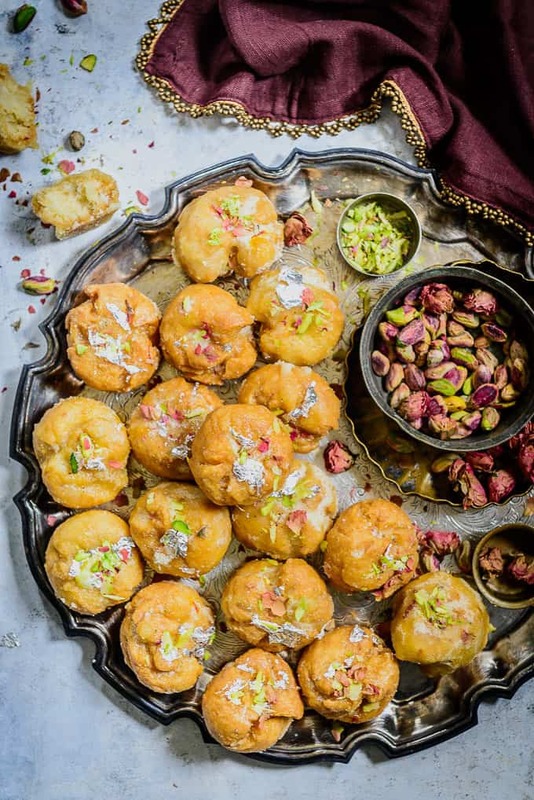 Balushahi is a traditional Indian sweet which is made using all purpose flour, ghee and yogurt. It is crispy from outside and soft and flaky from inside. 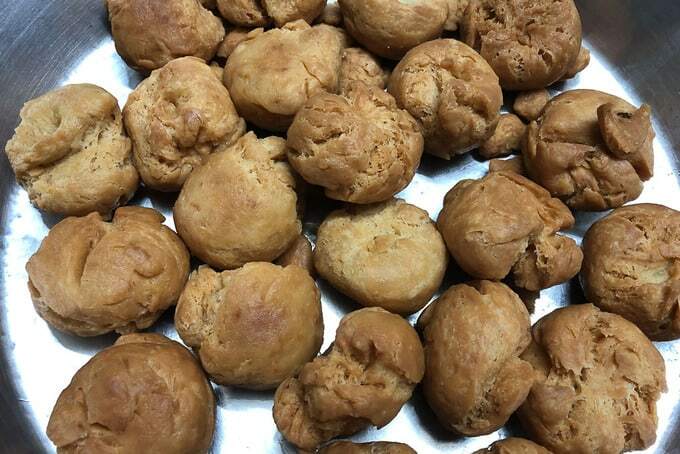 Make 20-22 equal sized balls from the dough. Do not smoothen them much. Press in the centre of the dough ball with your thumb. When the ghee is slightly hot, drop the Balushahis in the ghee very gently. Do not heat the ghee too much otherwise the Balushahi will fry from outside but will remain raw from inside. Fry on very low heat till golden brown. Keep changing the sides while frying, but be very gentle. Do not overload the pan. Fry the Balushahi in batches. Each batch will take around 25-30 minutes for frying. Heat sugar, water, cardamom powder and saffron in a pan. Cook till the syrup reaches a 2 string consistency. To check the syrup consistency, take a little syrup in a spoon and let it cool slightly. Touch the syrup with your forefinger. Now touch your forefinger and thumb and pull apart. It should make 2 strings. Remove the syrup from heat once it reaches the desired consistency. Dip the balushahi in the sugar syrup and remove on a plate. Garnish with silver foil and pistachio slivers. You can store balushahi in an airtight container for up to 2 weeks.